Up until 2 years ago, I always made New Year resolutions. I’d usually write them in November, put my list in an envelope and open it on the following New Year’s Day. I actually never called them resolutions, I called them goals. They’d be very specific, outlining things I wanted to accomplish, relationships I wanted to foster, relationships I’d let go of, books I wanted to read, places I wanted to visit and every year I would write “take piano lessons” on my list. You see, Ron’s very first Mother’s Day gift to me was a baby grand piano. He surprised me with it. I surprised him with this confession, “I can’t actually read music…yet, but I can kind of, sort of, play by ear.” I mean, Heart and Soul is my jam and I can play the first few lines from Brian’s Song pretty well. To this day, I have never had a single piano lesson. So every year, I’d look at my list and cross off all that I accomplished and those *&^% piano lessons would be staring me right in the face, shaking their head in disappointment. So two years ago, Ron gave me the book “One Word that will change your life” written by Dan Britton, Jimmy Page and Jon Gordon, and it resonated with me. I decided, no more New Year goals. Instead, I choose ONE WORD to focus on for the year. Click here to order the book. In 2015, my word was PRESENT. As in, being PRESENT. January through April I was helping my daughter Lauren plan her wedding and I enjoyed every minute of it. The wedding was magical and I made sure I was 100 percent PRESENT that day so that I could capture the moments and feelings without any distractions (mission accomplished). A great family vacation, dinners with dear friends, more beautiful weddings, an IRS audit (which in the end turned out to be a rather pleasant experience), some great events put on by our non profit, our second daughter, Morgan, graduating from Chiropractic College (making her the 7th Chiropractor in the family) gave me many opportunities to be/stay PRESENT in the moment. How was I PRESENT? I quieted my mind, cleared my thoughts, allowed myself to “feel” more and think less and simply BE there mentally and emotionally. What I felt was that I was more a part of everything and more connected to the people around me. I was living in the moments rather than thinking about them. (Future blog post about chronicling your life on face book in the works). It was a good word and a great year. I did not want to find myself looking back at 2015 struggling to remember what happened and having regrets that I somehow missed out. I lived it. I learned a lot. I loved most of it. I was PRESENT. 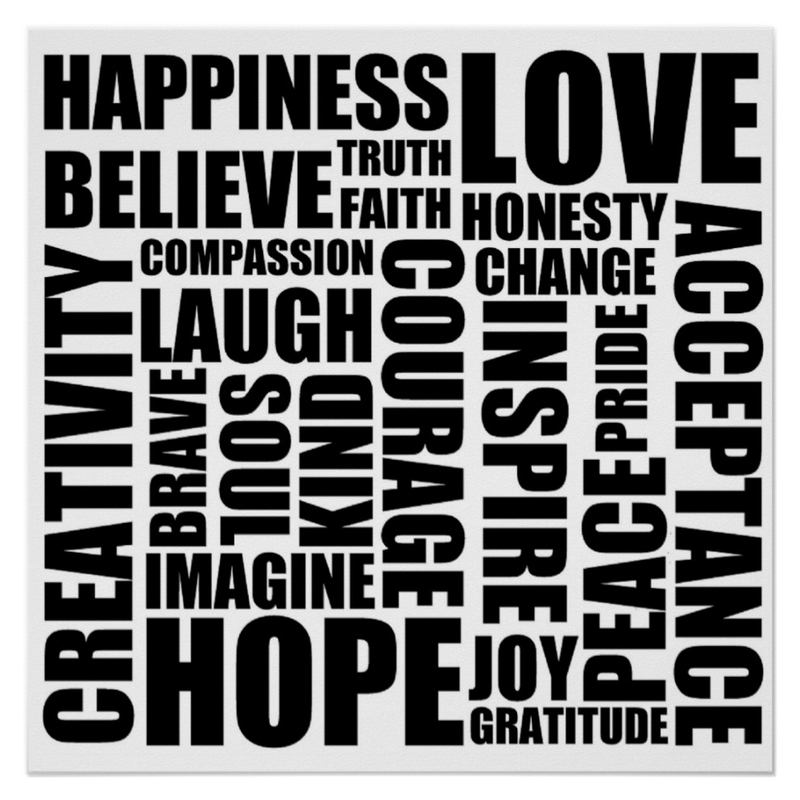 What ONE WORD for 2016 will you choose? Mine? I’ll save that for my next blog! PS- One of my future grand-kids is getting piano lessons for their birthday. I might even throw in the piano! Love you more Hannah! Thanks for leaving a comment!